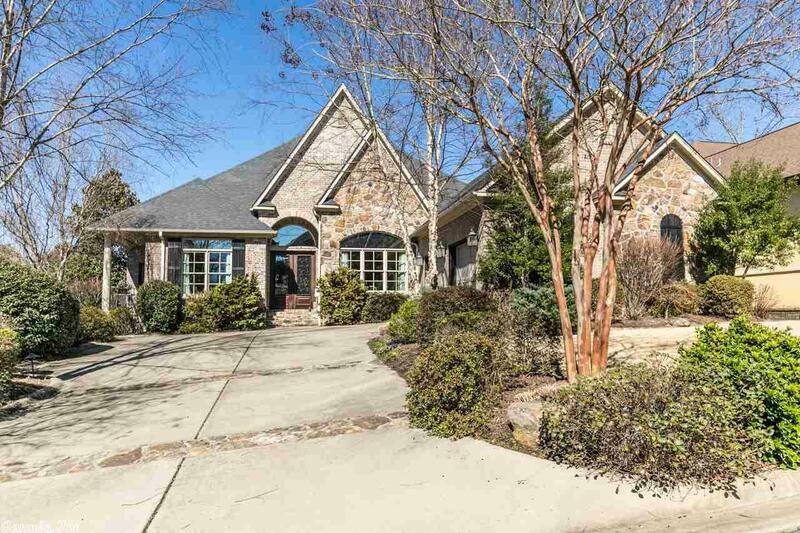 Outstanding custom built in gated Arbors at Chenal's Bear Den golf course. 14' ceilings, large windows, 2 covered porches + patio w/wood burning fire place. Open floor plan, 3 bedrooms down (master), 1 bedroom/bonus room upstairs with full bath, refrigerator and ice maker. Extra large 2 car + golf cart garage. Huge walk-out storage, too many amenities to list!! POA provides lawn care.